Once the FARC soldiers were disarmed, it led to a vacuum of power which is being exploited by large landowners who are now deforesting the area at an alarming rate to make way for farms and for the illegal growth of coca crops. Official Colombian sources reported that in 2017, 219,973 hectares of forest were lost from the region – the equivalent of 35 football pitches every hour. He said: "This is a critical moment for Colombia – there are new threats to these areas but there's still some forest left. 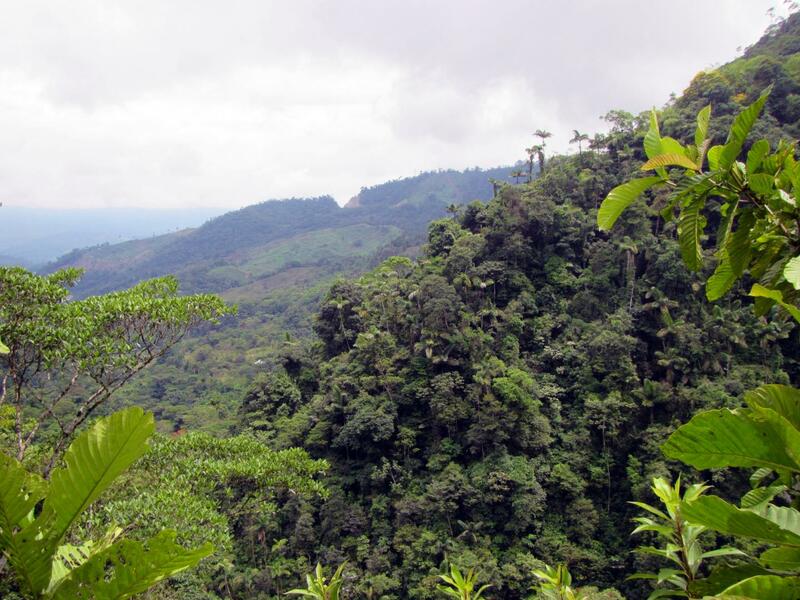 The systematic clearance of trees breaks an important link between the Andes and the Amazon that has played a vital role in the evolution of animals and plants. But if action is taken sooner rather than later we could preserve the area and maintain links between these irreplaceable ecosystems." Felling trees in the region to create homes is also a problem for humans – it is not easy to farm on rainforest land.